RF Events - 2017-08-17 - Be prepared to run! 2017-08-17 - Be prepared to run! Have you ever been asked to go on a run, or find yourself with the time to sneak in a run and can't because you don't have your running gear with you? I was watching the Weather Channel and they had on a survival expert that talked about what you should have in your emergency "Bug Out Bag" in your car. Not much of an expert I'd say, he didn't even include running shoes and apparel! If you haven't already, stash some old shoes and gear into your emergency bag in your car, It's also good to have a kit under your desk at work and anywhere else you may find yourself with a run opportunity. Be prepared! 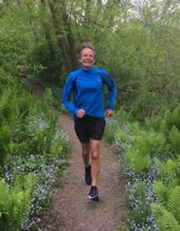 Randy Step, an admitted obsessed runner who ended up at an appointment yesterday that got pushed back 2 hours, leaving plenty of time to get on my stuff and run some nearby trails I have not been on in years. PS: FREE WINE! FREE PARTY! Do I have your attention? We want YOU on the Uncorked Crew this weekend at Running Between the Vines. Join us at Sandhill Crane Vineyards in Jackson,MI Saturday, August 19th, 2017! 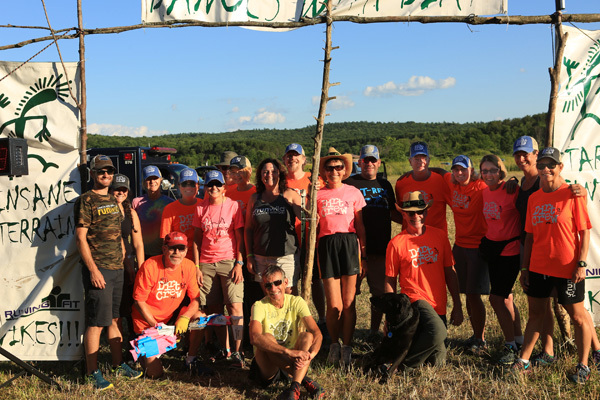 $30 race voucher, fun volunteer shirt, custom wine glass and an invitation to the post race party for all volunteers! Check it out!